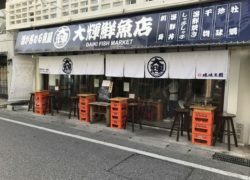 Here you can enjoy freshly caught seafood from all over Japan, including rare items that are not distributed to markets. 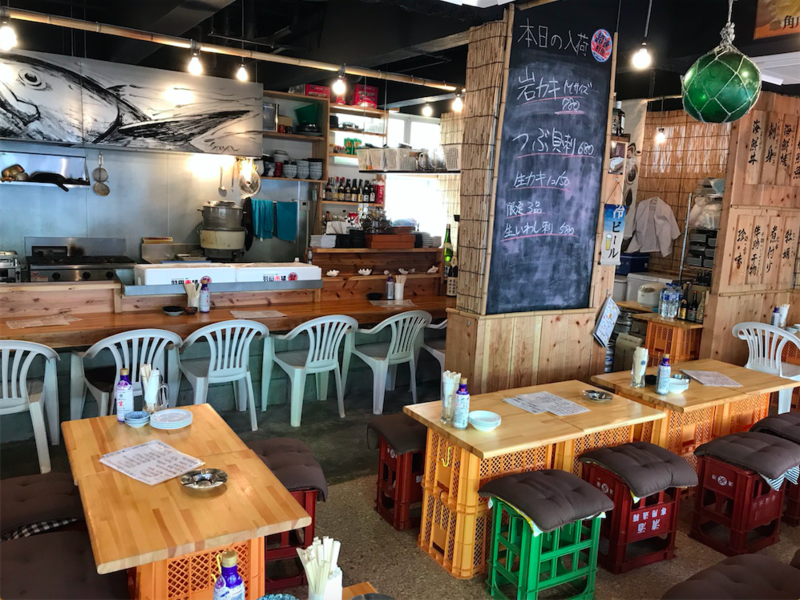 Highlighted on their menu is a seafood grill set (¥1,980/two people), in which you can grill a variety of seafood at your table, and a hearty seafood rice bowl (¥980) along with assorted sashimi (¥980). 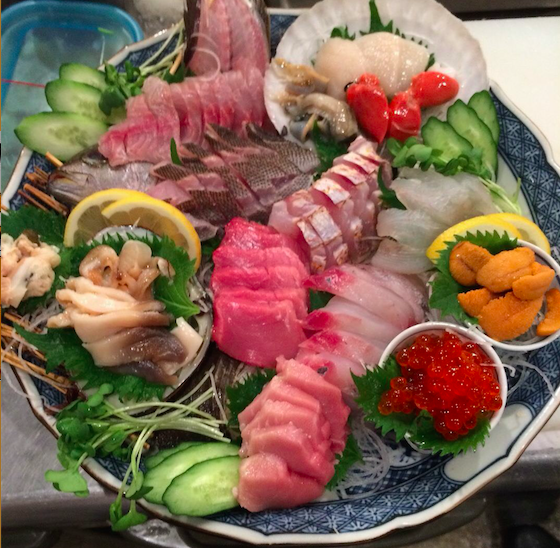 Be sure to order the oysters, priced at just ¥150 year round. 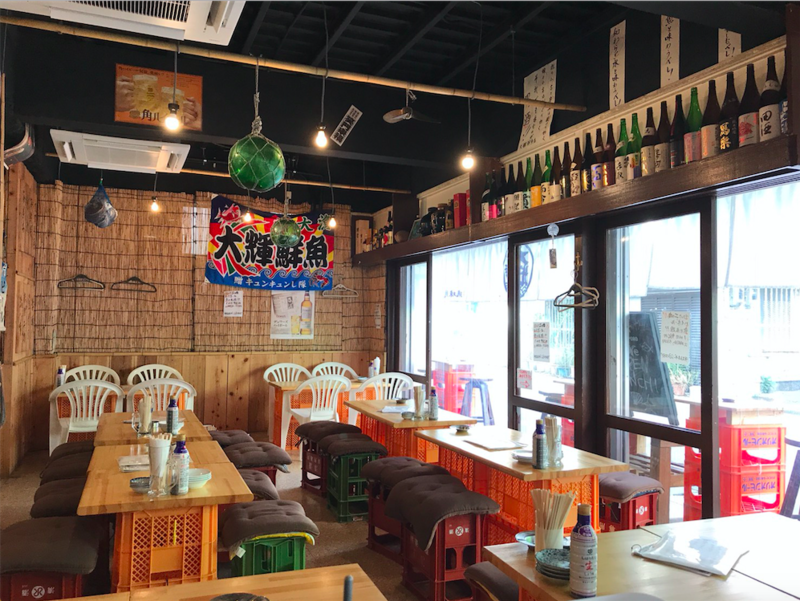 This place also has a fine selection of Japanese sake.